Resources to aid patrons in understanding the steps required to enroll for Affordable Care effective Oct. 1, 2013. In March 2010, President Obama signed comprehensive health reform, the Patient Protection and Affordable Care Act (ACA), into law. The law makes preventive care—including family planning and related services—more accessible and affordable for many Americans. While some provisions of the law have already taken effect, many more provisions will be implemented in the coming years. Accessed from http://www.hhs.gov/opa/affordable-care-act/index.html August 21, 2013. Accessed from http://www.hhs.gov/opa/affordable-care-act/index.html November 9, 2015.. The Family Planning National Training Centers provide ACA-related training on electronic health records, billing and coding, contracting, policy changes and more, geared to Title X family planning providers. Health Resources and Services Administration: Check out upcoming and past webinars on Health Information Technology for safety net providers, quality improvement and reporting, meaningful use, workforce and safety net providers, and related issues. Agency for Healthcare Research and Quality offers links to webinars and other educational events related to Health Information Technology. 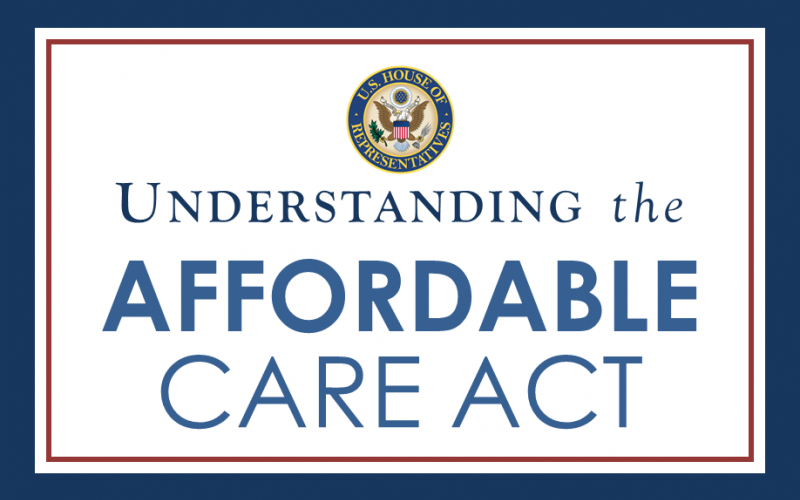 Accessed from http://www.hhs.gov/opa/affordable-care-act/index.html November 9, 2015. Learn about available grants to assist with implementation of various aspects of ACA. Search grants.gov for information about funding opportunities related to ACA including Health Information Technology (HIT) and other areas. Regulations and guidance posted by the Centers for Medicaid and Medicare on ACA-related topics such as HIPAA Administrative Simplification and other issues for providers. The Center for Consumer Information and Insurance Oversight at the Centers for Medicaid and Medicare is responsible for implementing the ACA and provides extensive information and links to specific ACA information and fact sheets. The Healing of America: A Global Quest for Better, Cheaper, and Fairer Health Care by Reid, T. R.
A former senior vice president at Cigna who testified before the Senate panel on health care reform explains how health insurers bankroll propaganda campaigns and lobbying efforts aimed solely at protecting a company's profits and not the health of those insured. Discusses the overuse of medical care, shares stories of well-insured people who received expensive procedures that made their conditions worse, and outlines a ten-step plan to improve patient outcomes across the board. 'You won't have to worry about going broke if you get sick. We will start to bring the costs of health care under control. And we will do all this while reducing the federal deficit. Dr. Brawley exposes the underbelly of healthcare today--the under-treatment of the poor, the over-treatment of the rich, the financial conflicts of interests physicians face, insurance that doesn't demand the best (or even cheapest) care, and a pharmaceutical behemoth concerned with selling drugs, not providing health. "A visionary and completely original investigation that will change the way we think about health care: how and why it is failing, why expanding insurance coverage will only make things worse, and how it can be transformed into a transparent, affordable, successful system. In 2007, David Goldhill's father died from a series of infections acquired in a well-regarded New York hospital. The bill was for several hundred thousand dollars--and Medicare paid it. These circumstances left Goldhill angry and determined to understand how it was possible that world-class technology and well-trained personnel could result in such simple, inexcusable carelessness--and how a business that failed so miserably could be rewarded with full payment. Catastrophic Care is the eye-opening result. 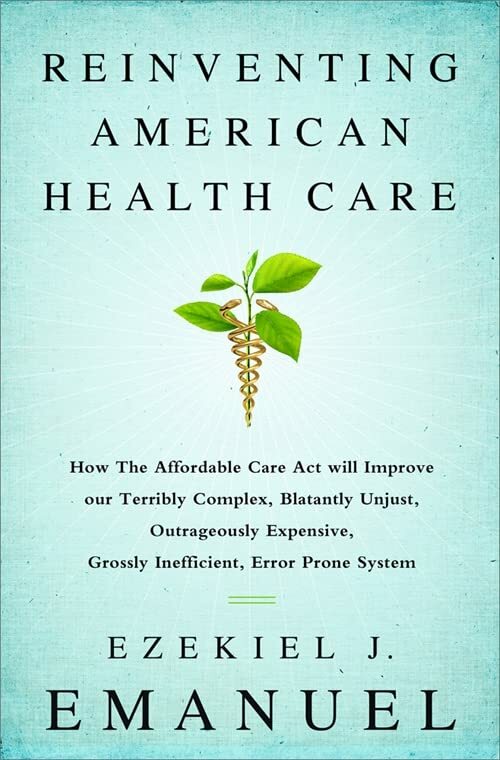 Goldhill explicates a health-care system that now costs nearly $2.5 trillion annually, bars many from treatment, provides inconsistent quality of care, offers negligible customer service, and in which an estimated 200,000 Americans die each year from errors. Above all, he exposes the fundamental fallacy of our entire system--that Medicare and insurance coverage make care cheaper and improve our health--and suggests a comprehensive new approach that could produce better results at more acceptable costs immediately by giving us, the patients, a real role in the process. " -- Provided by publisher. Obamacare Survival Guide by Tate, Nick J. The Patient Protection and Affordable Care Act-- also known as ObamaCare-- is becoming a reality with major provisions set to start soon. This guide cover the law in easy-to-read language, so that you get the tools you need to navigate ObamaCare. 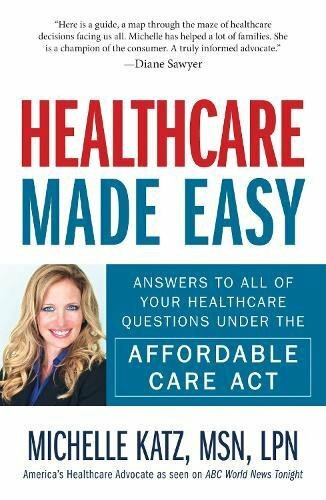 From Amazon.com: 'In March 2010, the Affordable Care Act was signed into law. It was the most extensive reform of America’s health care system since at least the creation of Medicare in 1965, and maybe ever. The ACA was controversial and highly political, and the law faced legal challenges reaching all the way to the Supreme Court; it even precipitated a government shutdown. It was a signature piece of legislation for President Obama’s first term, and also a ball and chain for his second. Ezekiel J. Emanuel, a professor of medical ethics and health policy at the University of Pennsylvania who also served as a special adviser to the White House on health care reform, has written a brilliant diagnostic explanation of why health care in America has become such a divisive social issue, how money and medicine have their own—quite distinct—American story, and why reform has bedeviled presidents of the left and right for more than one hundred years. Are there any exemptions to buying insurance under the Affordable Care Act? What is the new "80/20 Rule"? And what exactly is the Early Retiree Reinsurance Program? What does the ACA mean for small businesses? What benefits must you offer and what are the tax breaks? What is covered for your children under the new CHIP laws? How can you get pharmaceutical companies to lower your prescription costs? With the expert advice in Healthcare Made Easy, you will learn how to get the most out of your healthcare plan without having to sacrifice your needs or empty your pockets.